Whether you’re a newbie to the sales world or a professional who would like to improve skills, you’ve come to the right place. 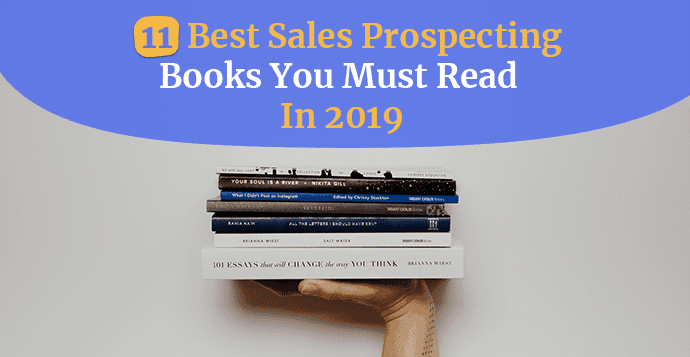 We have compiled a list of best books for sales prospecting that you must read in 2019. Books require a lot of focus and attention so choose one and become a better salesperson today. 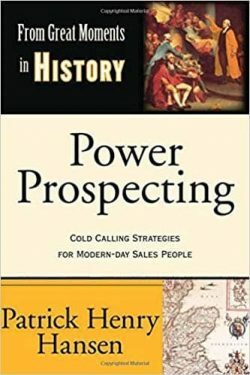 If you are about to start a career in sales, this book is a great starting point for the beginners and anyone else interested in learning about the sales prospecting. 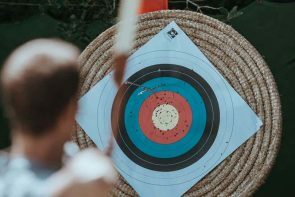 One of the biggest challenges in the sales world is related to knowing where to look for the right opportunities and learning to recognize them once they arise. According to the author Tom Hopkins, a great salesperson should know how to turn those challenges to his or her advantage. 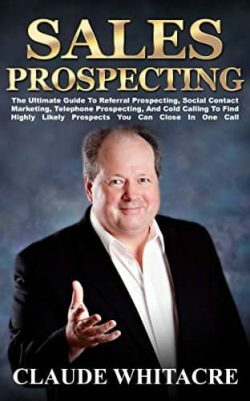 This book provides a solid understanding of the prospecting process and offers tips on improving your phone skills, using the power of internet to your advantage, and getting the best possible ROI for your advertising budget. A drawback of this piece is that it’s a little bit outdated and you might not find it as valuable as some other prospecting books. However, For Dummies series is one of the most popular instructional resources in the world and if you are just entering the sales field for the first time you will find this book beneficial. This is one of the most comprehensive resources on the sales prospecting process. It is packed with tools, techniques, and secrets by some of the top sales leaders and entrepreneurs. 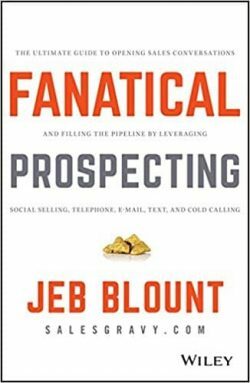 Bad sales are often the result of an empty pipeline and in this piece, Jeb Blount offers his practical and innovative approach on how to keep the pipeline full of qualified opportunities. The book highlights social selling as an important step in supporting sales prospecting. 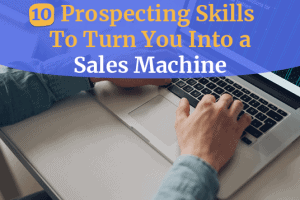 You will also get a lot of tips on scripts and knowing exactly what to say when connecting with prospects. This is a great sales book for both amateurs and professionals alike. The focus of this sales book is on social media strategies and technology hacks and how they can help fill your company’s pipeline and close more sales. One of the biggest challenges in today’s digital society is breaking through the noise and reaching C-level executives. 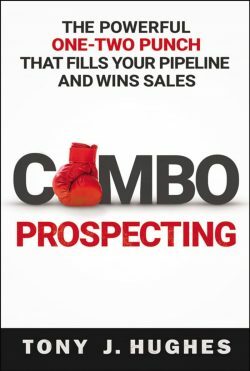 Combo Prospecting offers valuable scripts and templates, tips on nurturing a strong network, creating an online brand but also doing research on Linkedin and other social media networks. 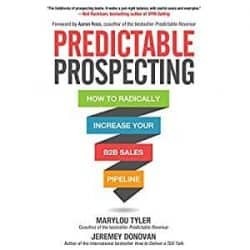 This sales prospecting book is among the top 10 books in the Telemarketing category on Amazon. It’s a great read for those responsible for driving new business leads. In this book, sales expert Mark Hunter deconstructs various myths surrounding the sales process. He highlights the fact that the internet only, won’t help you fill your sales funnel and offers practical and hard-hitting tips for regaining your power. 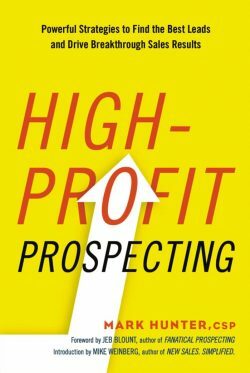 High-Profit Prospecting is great for beginners interested in sales, as it offers some great lessons and basic truths about prospecting. It also prepares you for prospecting success by offering valuable tips on dealing with high-profit customers. A large chunk of the book is dedicated to tools and techniques that will help you find the best leads. That includes the best time-management tips, best practices for making the initial contact, prospecting via social media etc. High-Profit Prospecting offers many actionable tips and will motivate you to take the first steps now! This book offers a proven system for massive B2B sales growth by offering strategies that can be implemented instantly. It is also packed with valuable material such as email templates, worksheets, and scripts. Predictable Prospecting is useful for staying up to date with the current technologies and trends and it makes the whole process of prospecting less daunting by offering a more systemized approach. 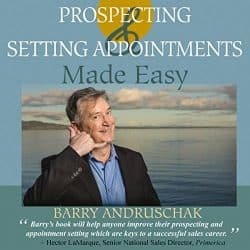 Barry’s proven approach to prospecting and setting up appointments will help anyone improve their sales track. The key takeaways are very well organized throughout the book. You will learn the art of finding potential clients, turning strangers into prospects, setting live appointments, and following up. A section that is extremely helpful is dedicated to the power of persuasion and psychology behind the appointment setting. He also touches on the topic of being an introvert in a highly extroverted business. During his long career, Curtis W. DeCora compiled some of the biggest mistakes and successes related to effective prospecting. He gives an overview of a sales cycle and the processes he used over the span of his career, how the ideal client profile looks like, prospecting tracking tools, messaging sequence, follow up tips and more. The book is quite short but it offers many actionable and valuable tactics that can be implemented right away. Whether you’re a sales professional or an entrepreneur, this book will help you unlock your sales potential. It is filled with strategies and tactics to help you land more prospects. It also walks you through all the stages of the sales cycle while including helpful exercises along the way. What’s very interesting about this book is that it will help you figure out your sales philosophy and offer ways to jumpstart sales prospecting success. Having a clear sales philosophy will help you overcome any challenges that come your way. It’s a must read for anyone who wants to learn how to craft the perfect message and how to sell it. The key factor in sales prospecting is talking to people that are highly interested in your product or service. 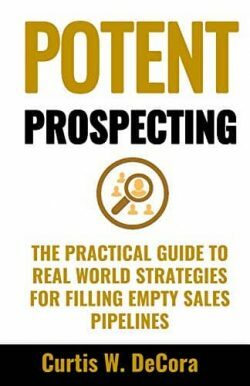 This book outlines the process and offers tips for finding the sales prospects who are highly likely to buy from you. This book is a great fit for professionals whose income depends on the sales, for people who do in-person sales, and for those individuals who will be doing the prospecting by themselves. This is a completely different book to all the other ones that were previously mentioned. The author makes an interesting historical connection to sales making it a fun and inspiring read. All of his key points are accompanied by historical events and examples, making it distinctive from the usual business books. It is a great read for both the beginners in sales and professionals who would like to improve their skills. This book is full of valuable tips and tricks related to new business development. 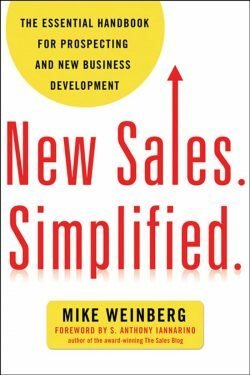 The author Mike Weinberg lays the groundwork for a simple sales model and he pinpoints why so many salespeople fail at new business development. You will also learn how to create a simple framework for developing new business and how to sharpen your storytelling. 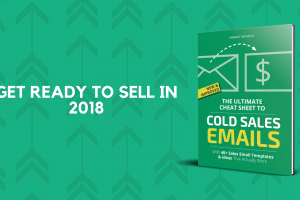 It’s a great piece for beginners since it offers a very solid base and overview of the sales process and acquiring new customers. He also touches on the topic of mental preparation before the cold calling process and how to start the conversation with the right message. New Sales. Simplified. 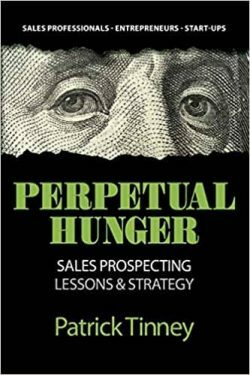 is one of the best-rated sales books of all time, so if you want to get a solid understanding of sales, you may as well start with this one. That’s it! 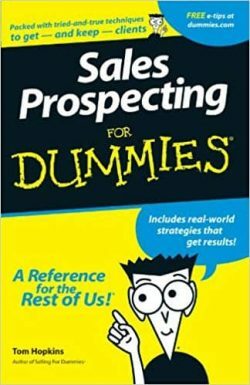 Did we miss your favourite sales prospecting book? If yes, let us know in the comments below. How to find the time to read some of these books? It’s easy, stop wasting time on searching contact data! Order a custom bounty list made for you, with the highest accuracy on the market and focus on perfecting your sales skills and not data entry. Salespeople can never learn enough – however, we are aware that people today are quite busy. But that’s precisely why podcasts are so popular. We’ve prepared a list of 50 best sales podcasts to learn from.